Q. How can we be assured that we are investing money in the right place? You can be assured of your choice of investments by getting your portfolio reviewed from a financial advisor. Spending some money to prevent significant losses is worth the money. In case of doubts, ask the expert! Q. When is the best time to invest and in which stock for 2-3 years? This is especially true for equity investing - whether through mutual funds or directly through stocks. If your time horizon is 2–3 years, no one on this planet can give you ethical and correct advise about which stock to buy and moreover when to buy. You may make some if you were lucky but the odds were not in your favour. If people do, at best it will be guesses. You can do better at poker, trust me! 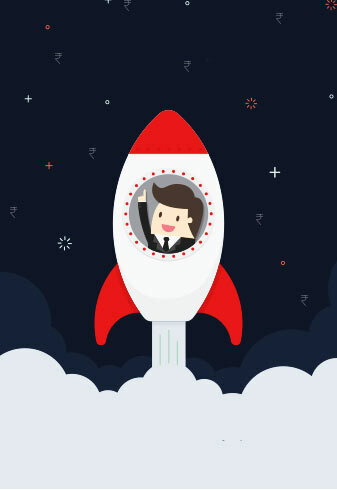 a) Increase your time horizon to more than 5–7 years, spend substantial amount of time researching a set of companies that look interesting to you, read their annual reports and then invest. c) Invest in debt mutual funds. Remember, there are no short cuts to creating wealth. Q. Is it good to buy the stock which is corrected 50% as soon as you invest? Depends on why you invested in the stock at the first place. If you had researched the company well and believed that the company will continue to grow its top line and bottom line in the next few years, you need to analyze if the reasons for such belief still exist. If they do, then there is no reason to worry. However, if you had purchased the stock just to make a profit out of price fluctuations, then there is very little to comment upon. Investing is not same as trading. Hope you were not attracted by the glamours and thrill of trading. Q. What are the most important things I need to know about mutual funds? c) Equity mutual funds are preferred for long term investors (only). More than 5 years’ time horizon. Start investing to create wealth! Q. How are mutual funds in NAV calculated on the holiday? For Equity mutual funds, NAV is computed based on the closing price of the securities held as per the last working day. Therefore, equity mutual funds do not earn any return on holidays. However, for Debt funds, they earn even on holidays. However, the appreciation during holidays is reflected in the NAV that is declared on the next working days. So during holidays, you wont see a live change in NAV. Q. What are the chances of loss in a mutual fund investment? 1. Selection of wrong funds - in the entire universe of mutual funds, not all funds can do well. If you get invested in the laggards, you might lose. Again, assessing a fund only basis their historical returns is an incomplete analysis of which funds are good. 2. Over / Under investment in a particular category - the portfolio of funds that you invest in should be in sync with your risk profile, time horizon and investment objective. If you invest in a small cap fund which gave the highest return last year with an intent to exit in 2 years, you can still lose. 3. Wrong exit timing - I disagree partially that timing of entry is important. Entry timing is not important when you adopt the SIP mode of investing. In fact, SIP eliminates the pricing risk. However, if you withdraw your investments at a time when the overall financial markets are not performing well, you might incur a loss. For all your mutual fund investments, you have to start managing the exit strategy once you inch closer to your exit date. Getting in touch with a financial planner can help you do this best. Q. Which is the best mutual fund to invest and why? Before you start investing, please ascertain your objective of investing. If for example, you are investing to build a fund for buying a house 5 years hence, you need to think about which is the fund that will meet this particular objective of yours. Hence, to select a fund basis the current market may not be the right way of going about investments. The point I am trying to make is that markets on a daily basis are very volatile. And if you take a short term view on a fund, you might be changing your funds every 10 days, which is definitely not how investing works. It shall be best to consult a financial expert to define your portfolio in a more scientific manner. Q. Is it wise to invest in a mutual fund? That is a very relevant question. There is so much information and noise - at the same time, that a lay person can very easily get confused as to what to do. So, thank you for bringing that up. a) Bank Fixed Deposits / Recurring Deposits - With a low rate of interest being offered on these, you may be able to beat inflation just marginally. So if you have Rs. 100 today, it will grow to Rs. 106–107 in 1 year if put in an FD. However, the chances are that prices would have risen in next 1 year and you will have to spend Rs. 107 instead of Rs. 100 on something that you wish to buy. So you don’t really “increase” your wealth. The point is that you need to earn inflation beating returns to create wealth in the long run. With guaranteed return products, you will at best be able to preserve your purchasing power (and that too is not certain). Equity as an asset class has the potential to provide such inflation beating returns. This is because equities are driven by actual companies. The performance of these companies is what drives the equity prices in the long run (in the short run, they are unrelated). Why will equities continue to perform? - The answer lies in the strong India growth story. Companies in India are being able to grow their business and hence performance year on year. Over a long period of time, the economy has performed well and will continue to do so as India presents a lot of growth opportunity for the next few decades. Over the long term (more than 5 years), you can expect a return of 12–13% from equities. Why mutual funds - Identifying the right companies is a skill not all of us have. Hence, mutual funds provide us the required exposure to equity under the management of an expert who knows how and what to invest in. Q. How many funds should I choose for investment? Q. 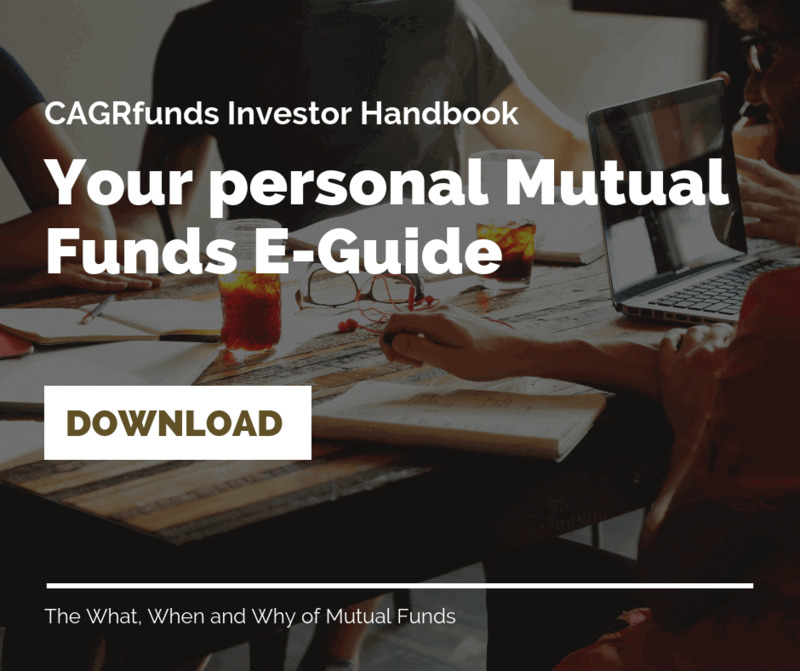 What are different types of mutual funds and how can they be explained be in layman terms? Equity (stocks) as an asset class has given double digit returns over long periods of time - the rolling 15 year returns have always been double digit except for 2 years. This means that since beginning of the Sensex, if you would have invested at any point of time for a period of more than 15 years, you would have earned double digit annual returns except in two years (Highest 15 year CAGR being 27% and lowest being 6%). Needless to mention, these returns are higher than what you earn from either Fixed Deposit or bank deposits. a) Buy stocks of individual companies - You can buy stocks of companies which are likely to perform well in the future. You hold these stocks for a long period of time (not skin to trading. Read my article on why trading can be very risky here). But this requires huge amount of expertise. time and understanding of each company. b) Give your money to an expert who can buy the stocks for you - Equity mutual funds are managed by expert fund managers. They generally invest in multiple stocks which also provides you the necessary diversification. So basically a lot of people like us invest in mutual funds so that we can get exposure to the equity asset class, get our funds managed by an expert so that our funds are in safe hands and thus grow our wealth. Read more on benefits of mutual funds here. Feel free to reach out to us if you want to get started with mutual fund investments. Q. Should I invest in the stocks held by mutual funds companies? Considering they have done their research. The fund manager would have researched the stock not just from a fundamental point of view but also pricing point of view. You might just over pay for the stock which was rightly prices when the fund manager bought it. You may not be able to make a correct judgement of the price at which you should be selling. The fund manager takes a better on probably 30–40 stocks. You may not have the capital required to manage that scale. And if you choose a few stocks from his portfolio, you may be holding more risk than the manager does. Plagiarism is never good. You should buy stocks only if you can spend the time in researching the stock yourself. Q. What should be someone's approach for paying the remaining home loan, or should I invest in mutual funds where number of EMIs are pending for 3.5 years? You need to evaluate the opportunity cost of your money. If your loan is giving you tax benefit either by way of interest payment on loan (which i presume must be over) or by principal repayment under section 80C, it might make sense to continue with EMIs on loan and not prepay it. Reason being the currently, home loan interest rates are low. With the capital that you will use to prepay the loan, you can invest the amount for your long term and earn good returns which are likely to be higher than your home loan interest. Moreover, if your interest amount is negligible, you are really not saving anything by pre-paying the loan. It becomes just a psychological relief.